Cotton Patch Politics: Middle Georgia Dems Party! 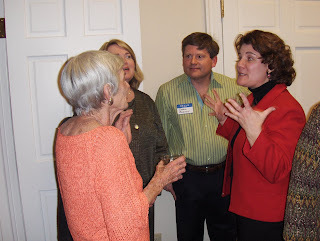 Tonight, Democrats in Middle Georgia, and some from beyond (it was great to have you, Tim and Page) had a great time at our Holiday Party. The food was good, the music was great and the friends were the best. 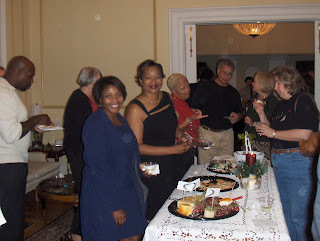 Every time we have an event like this, I meet new people who are Democrats. Here are a couple of pictures, but I warn you, they just might make you wish you had been there, too!